-> At the highway, by the Airport's entrance, rode in a jeepney to Zamboanga City hall. FARE: 7 pesos. -> Breakfast at Jolibee, in front of the City hall. -> Using Google Map, walked on the streets to their tourist spots. -> Bought a ticket bound for Bongao, Tawi-Tawi. FARE: 1,100 pesos. Bought Terminal ticket: 11 pesos. NOTE: The port entrance is left side of BPI, on the left side of the City Hall. -> Super waiting galore sa loob ng Zamboanga City port, as in. NOTE: Dahil fully booked, pinag-tiisan ko ang pagiging isang chance passenger, so NO BED. Kaya naghanap ako ng isang lugar na tahimik at walang masyadong dumadaan at dahil prepared ako, palagi akong may dalang isang malaking plastic at yun ang aking nilatag sa floor, para hindi madumi, tapos, pinatungan ko ng tuwalya para hindi malamig sa likod. Tapos burlog!!! ETD Zamboanga City: 6:48 PM, ETA Bongao: 12:20 PM (the nex day). Approx. Travel Time: 14 hours. -> Arrival at Bongao: 12:20 PM. -> Met Ian Miller (my tour guide) ang yaman ng pangalan no? Sinundo nya ako sa loob mismo ng barko. -> Using Ian's motorcycle, we proceeded to Shiela's house, by the airport. She's my friendly contact at sis ni Ian Miller. -> Had a sumptuous lunch, yung totoong lunch talaga. Tatlong ulam at Malaysian yung rice nila. ANSARAP NI SHEILA MAG-LUTO, promise!!! AND FOR ME IT'S A YES!!!! Highly Recommended si Shiela!!! -> After Lunch, using Ian's motorcycle, we started with our Bongao, Tawi-Tawi Day Tour. MUST DO AND MUST VISIT TOURIST SPOTS AND DESTINATONS IN BONGAO, TAWI-TAWI: Bolobok Beach, Bolobok Cave, Balobok Rock Shelter, Bud Bongao, Tawi-Tawi Capitol, selfie at Bongao Municipal Hall, passed by the busy streets at the public market and port. -> Went back to Shiela's house and had dinner at 6 PM. Again, there were sumptuous dishes in front. NO TO DIET. Yung pinaka gusto ko ay yung sinabawang lapu-lapu (yata) tapos may mga spices. Ang sarap nung sabaw, lasang-lasa talaga yung ginger at ibang spices. CLICK HERE FOR SHEILA'S CONTACT NUMBER, PLEASE PM ME. -> 6:30 PM - proceeded to the port. Rode on a Ro-Ro bound for Jolo, Sulu. FARE: 650 pesos. ETD Bongao: 7 PM and ETA Siasi: 4:40 AM. ETD Siasi: 12:40 PM and ETA Jolo: 5 PM. NOTE: There's a route from Bongao to Jolo. However, there's a stop over in Siasi Island, Sulu. Bongao to Siasi: 9-10 hours. Siasi to Jolo: 4-5 hours. DAY 3: SIASI and JOLO, SULU: THIS DAY WAS CONSUMED BY TRAVELING TO JOLO, SULU. -> ETA Siasi: 4:40 AM and ETA Jolo: 5 PM. -> Met Rhu-Rhu and Sim at the port. They are both from Jolo Tourism. -> Walked from port to Jolo Municipal Hall and registered. -> It was already sunset, we proceeded to Peacekeepers In in Asturia. I checked in for an overnight stay. -> Had a dinner at the restaurant inside Peacekeepers In. -> 7 AM, I met Rhu-Rhu (my tour guide) at the lobby of Peacekeepers In. -> From Peacekeepers In, rode in a padyak for breakfast at Dennis's. -> Rode in a tricycle to Jolo Municial Hall and joined their flag raising ceremony. -> Met other employees at the Municipal Hall. -> From the Municipal Hall, walked to the ticketing office by the Port and bought a ticket bound for Zamboanga City. While waiting, we met Jerson and Sam, also from Jolo Tourism. They accompanied us using their motorcycle. 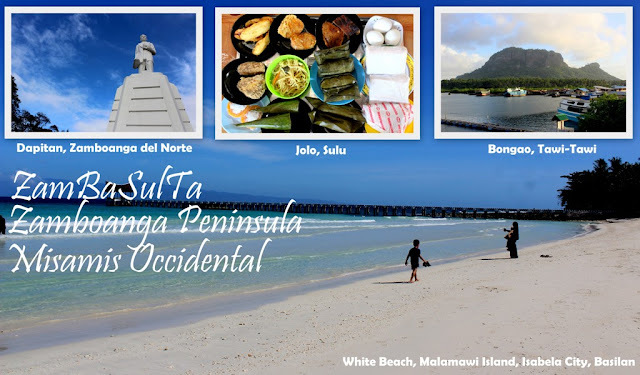 MUST DO AND MUST VISIT TOURIST SPOTS AND DESTINATONS IN JOLO, SULU: Have a fiestive breakfast, visit Sulu Provincial Capitol and take a selfie at I Love Sulu signboard, check the historical memorabilia inside Sulu Museum, visit the largest Masjid Tulay, visit Rizal Park and Jolo Cathedral, touch the portion of Jolo Walled City, visit Mauboh Beach, and taste their local deli at the D' Cousins. -> Checked out at Peacekeepers In at 1 PM (950 pesos for an overnight stay). -> Stayed at Jolo Tourism Office while waiting for my Departure. Note: They don't have a fixed guiding fee. I gave an ample amount to share with Jerson and Sam. They are such a good people. ETD Bongao: 8 PM, ETA Zamboanga City: 5 AM. FARE: 450 pesos. CLICK HERE FOR SULU CONTACT NUMBERS AND PLEASE PM ME. -> Proceeded to the ticketing office and bought a Ro-Ro ticket bound for Isabela City. ETD Zamboanga City: 6:45, ETA Isabela City: 8:30 AM. FARE: 70 pesos. -> Using Google Map, walked on the streets to Jolibee in front of Basilan Provincial Capitol. Breakfast and then a short walking tour. -> Walked to the port near the old post office. -> Rode in a banca to Malamawi Island (100 pesos, chartered the entire trip). Travel Time is around 10 minutes. -> Motorcycle ride back to Malamawi Island port. FARE: 50 pesos. -> Banca ride from Malamawi to Isabela City port. FARE: 30 pesos (together with the other passenger). -> Bought Seajet Fastcraft ticket bound for Zamboanga City. ETD Isabela: 10:30 AM, ETA Zamboanga City: 11:30 AM. FARE: 150 pesos. 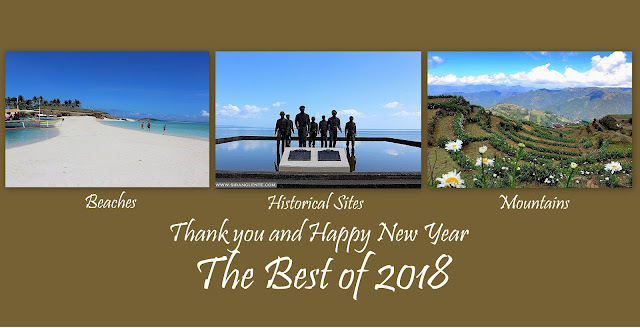 MUST DO AND MUST VISIT TOURIST SPOTS AND DESTINATONS IN ISABELA CITY, BASILAN: Basilan Provincial Capitol, Isabela City plaza, Isabela Cathedral, see the beauty of the white beach in Malamawi Island. -> From Zamboanga Port, walked to the terminal beside Pershing Park, in front of Zamboanga City Hall. -> Rode in a jeepney to IBT (Integrated Bus Terminal): FARE: 12 pesos. Travel Time: 20-30 mins. -> Paid 15 pesos for Terminal ticket. -> Rode in a Rural Transit bus bound for Ipil, Zamboanga Sibugay. ETD IBT: 12:23 PM, ETA Ipil, Zamboanga Sibugay: 4:05 PM. FARE: 240 PESOS. -> Alighted at Ipil Integrated Terminal. Using Google Map, walked on the streets to GV Hotel, near Jolibee. -> Checked in at GV Hotel. Overnight stay for 570 pesos. -> Tidy up and rested for 30 minutes. -> Rode in a motorcycle to Zamboanga Sibugay Provincial Capitol. FARE: 25 pesos. -> Photo ops at the Disneyland inspired exhitbit in front of the capitol. -> Rode in a motorcycle from the Provincial Capitol to Jolibee. FARE: 25 pesos. -> Dinner and went back to GV Hotel. MUST DO AND MUST VISIT TOURIST SPOTS AND DESTINATONS IN IPIL, ZAMBOANGA SIBUGAY: Rotunda Obelisk, Provincial Capitol, Mini Disneyland Theme Park. -> Rode in a tricycle to the terminal. FARE: 10 pesos. -> Rode in a Rural Transit Bus to Dipolog City, Zamboanga del Norte. ETD Ipil Terminal: 8:30 AM, ETA Dipolog City Terminal: 2 PM. FARE: 315 PESOS. -> Rode in a motorcycle to GV Hotel. FARE: 20 pesos. -> Checked in at GV Hotel. Overnight stay for 600 pesos (aircon, single bed). -> Tidy up and rested for 15 minutes. -> Lunch at Jolibee, just accross GV Hotel. -> Walked to the terminal. Around 200 meters. -> Rode in an Evergood Transit bus bound for Dapitan City. Travel Time: 30 to 40 minutes. FARE: 20 PESOS. -> Alighted on the street beside Dapitan City Plaza. -> Rode in a tricycle to Rizal Shrine. Travel Time: 15 to 20 minutes. FARE: 10 PESOS. -> Walking tour inside the shrine and visited Jose Rizal museum. -> Rode in a trycicle to the Dapitan City Terminal. FARE: 8 PESOS. -> Rode in an Evergood Transit bus bound for Dipolog City. -> Walked to GV Hotel. -> Dinner at Mang Inasal. Busugan ang laban!!!!!! MUST DO AND MUST VISIT TOURIST SPOTS AND DESTINATONS IN DAPITAN CITY: Visited the City Plaza, Saint James Church, Casa Real, and the old houses near the plaza including the tourism office. Checked the memorabilia of Jose Rizal at the museum in Rizal Shrine. -> Early in the morning, walked on the streets using Google Map to the Cathedral and Plaza Magsaysay but they were under construction. -> Walked to the terminal. -> Rode in a Rural Transit bus bound for Ozamis City, Misamis Occidental. ETD Dipolog Terminal: 8:30 AM, ETA Ozamis City Terminal: 1 PM. FARE: 190 PESOS. -> At Ozamis Terminal, there are buses bound for CDO, Dapitan, Ipil, Pagadian City, and Zamboanga City. -> Rode in a tricycle to Fort sa Cotta. FARE: 20 pesos. -> Rode in a tricycle to the City hall. FARE: 20 pesos. -> Rode in a tricycle to Osrox Park. FARE: 10 pesos. -> Using Google Map, walked on the streets to Ozamis Cathedral. -> Lunch at Jolibee near Ozamis City Cathedral. MUST DO AND MUST VISIT TOURIST SPOTS AND DESTINATONS IN OZAMIS CITY: Fort sa Cotta, City Hall, City plaza, Osrox Park, and Ozamis Cathedral (has the second largest bamboo organ inside). -> Rode in a Rural Transit bus bound for Pagadian City, Zamboanga del Sur. ETD Ozamis City Terminal: 2:30 PM, ETA Pagadian City Terminal: 5:25 PM. FARE: 135 PESOS. -> Rode in a motorcycle to Hotel Guillermo. FARE: 50 pesos. -> Checked in at Hotel Guillermo. Overnight stay for 750 pesos (single bed). -> Tidy up and rested. -> 6:30 PM, using Google Map, walked on the streets to the city hall to witness Pasalamat Festival 2019. -> 10 PM, went back to Hotel Guillermo. MUST DO AND MUST VISIT TOURIST SPOTS AND DESTINATONS IN PAGADIAN CITY: Ride in a tricycle that has a unique design, visit the rotunda, Pagadian Cathedral, City Hall and the plaza. If you have time, you can also go to the port area. -> Rode in a tricycle to the terminal. FARE: 50 pesos. -> Rode in a Rural Transit bus bound for Zamboanga City. ETD Pagadian City Terminal: 12 NN, ETA Zamboanga City Terminal: 7 PM. FARE: 500 PESOS. -> At Zamboanga City terminal, rode in a jeepney bound for Plaza Pershing. -> Using Google Map, walked on the streets and look for cheap hotels. Found and checked in at Hermosa Hotel. Overnight stay for 750 pesos. -> 8 AM - checked out at Hermosa Hotel. -> In front of Hermosa, rode in a jeepney to the airport (with Canelar/Airport sign). Travel Time: around 20 minutes. FARE: 7 PESOS. -> Breakfast/Lunch at the carinderia by the airport's entrance. -> Checked in, waited for the flight and flown back to Manila.